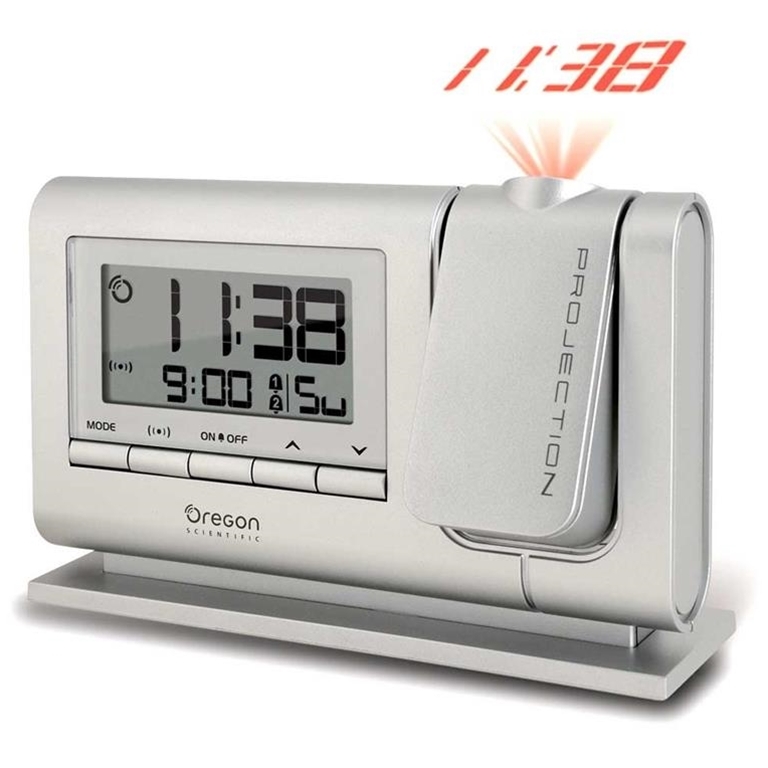 Oregon Scientific RM308PA-S Atomic Dual Alarm Projection Clock - Silver projects the time on your ceiling in large numerals that are easy to see when you want. This cool clock features a projection, LED backlight, and it even sets itself to the U.S. Atomic Clock. It also offers a unique way to read time in the middle of the night by casting the time in soft, glowing red numbers on your wall or ceiling.